The Mayor of Lvov Andrey Sadovyi expressed his happiness this Wednesday with the preparations his city has been making towards Euro 2012. He informed that the preparatory works before the construction of the stadium started a few days before and that a company to modernize the city airport would be hired in the next few days. Sadovyi’s critics, on the contrary, claim that the situation with the stadium has not been properly dealt with. The problem concerns especially the financial side of the construction and the conflicts about the ownership of the land where the stadium is being constructed. „I am fully satisfied with the speed of preparations Lvov has taken before an event of such importance as Euro 2012.” said Sadovyi at a press conference in Kiev. As he stated, the stadium for 33,000 viewers was being built by the Ukrainian company Azovintex. The mayor ensured that the builders would work three shifts a day at the site. The news about the Lvov stadium construction preparations’ set-off was confirmed by Serhey Taratuta, the vice head of the city district administration for construction and investment. „The works have been conducted for five days now”, he said. Oleh Matzeh, an activist from the social organization called „Citizens of Lvov Active”, comments that the situation connected with the construction is not as optimistic as the authorities claim. „The construction grounds still do not belong to the city, but to a municipal services company. There is a court case going on about it. There still have not been any geological tests to estimate whether the grounds are suitable for building a football stadium on them. There is also no money on the construction”, he told Polish reporters. 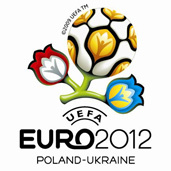 Ukrainian sports officials claim that should Lvov fail to tackle the Euro 2012 preparations it will lose the right to organize the tournament. „It is Lvov’s problem. If not Lvov, some other city will do”, said recently the president of the Ukrainian Football Federation, Hrihoryi Surkis.